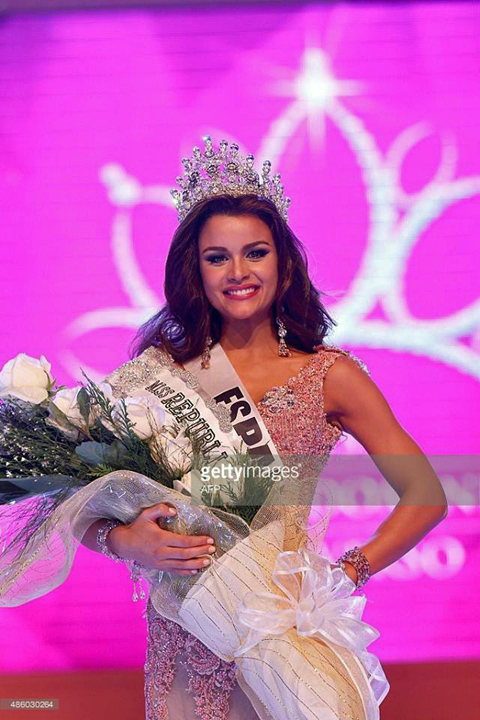 Clarissa Molina, a 23-year-old model representing the province of Espaillat, was crowned Miss Dominican Republic Universe 2015 in Santo Domingo on August 30th. She will now compete in the next edition of Miss Universe whose date and venue have not yet been confirmed. The representative of San Francisco de Macorís, Sofhinel Báez, was crowned eina Hispanoamericana 2015 whereas Miss La Altagracia, Jennifer Pichardo, was crowned Miss Continente Unido 2015.